Marshall Township is served by twenty-three paid on call professional fire fighters as well as ten Medical First Responders. These men and women have all earned the State of Michigan Firefighter certification and they use these skills as well as those gained through our regular trainings to protect the citizens of Marshall Township. Marshall Township firefighters respond to an average of 200 calls per year with a majority of these being vehicle accidents. With the recent addition of Fire Station number 2, 90% of Marshall Township residents are now within 2 miles of a fire station. 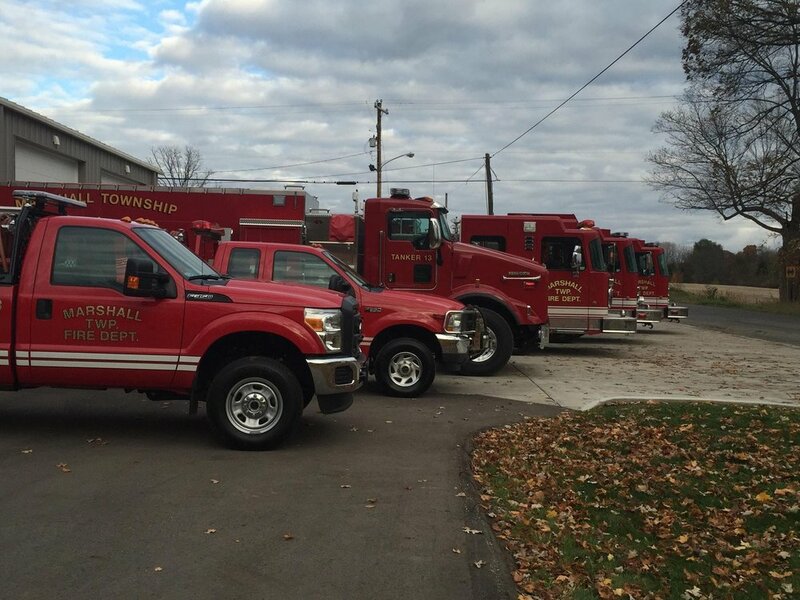 Marshall Township currently has 2 pumpers, 2 tankers, and 1 grass rig. We are currently in the process of purchasing a rescue truck for medical use, as well as fire. We are able to purchase this truck through a generous millage provided by the citizens of Marshall Township.